Are you looking for an idea how to teach question structurs to your ESL kids? 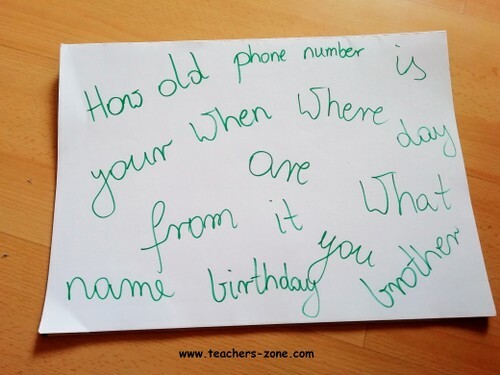 Here is presented a Wh- questions activity which helps them with practising word order in English questions. Firstly, attache the poster with scrambled sentences to the board and ask students to make as many question as they can with given words. They can write them down in their notebooks or say aloud in turns. Optionally you can write scrambled sentences on the board. 2. Then divide students into groups of three and distribute the word cards. 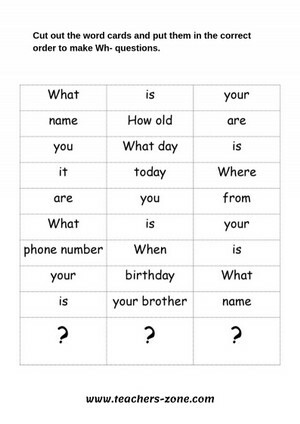 Click on the image below to download word cards for Wh-questions. 3. Students cut out the word cards and put them face down on the table. Each student take one card with a question mark. 4. Then they draw word cards in turn. 5. The student who gathers enough words to make a correct question is a winner and gets a point. 6. Students put all the cards together face down on the table and mix them. Then the next round begins. 7. The winner of the Wh- questions game is the one who wins the most rounds and gets the most points. 8. 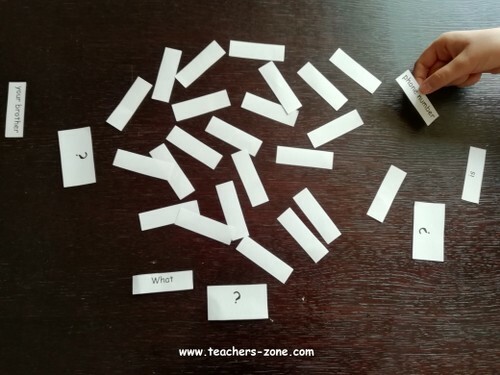 If your students need more practise to master word order in English questions, you can choose some of these printable worksheets for Wh- questions. I hope you find Wh- question activity useful to practise word order in enjoyable way. Leave a comment if you have any feedback or suggestions.